DOMESTIC violence offenders learn what they can and can’t do under a new Inverell-based program that promises to improve victim safety and reduce burden on the judicial system, Member for Northern Tablelands Adam Marshall announced today. The AVO Compliance & Education (ACE) Program will take in primarily men convicted of domestic violence, ensuring they understand and abide by court-issued AVO’s and ADVO’s – respecting their limitations and giving victims further piece of mind. The program, to be run by Inverell Rural Outreach and Social Support Services, thanks to $161,170 in NSW Government funding, will reach out to communities in Moree, Warialda, Boggabilla, Inverell and Mungindi. Mr Marshall welcomed the launch of the program, which has been created with extensive help from the local courts. 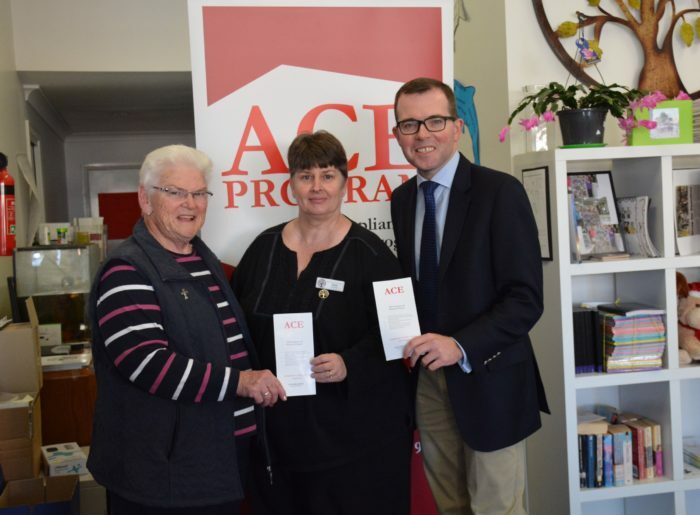 “The ACE Program will cover a large portion of our region, including several towns with historically high levels of domestic violence offences,” Mr Marshall said. “By providing offenders with a better understanding of their rights and responsibilities, we can avoid accidental breaches of Apprehended Violence Orders – keeping those with a genuine desire to reform out of the court system, and freeing up police and court time. People can sign themselves up, or be referred by court, services or police. The $161,170 in NSW Government Safer Communities funding will give the ACE program complete funding security for its first 18 months of operation. Rural Outreach and Social Support Services Manager Vicki Higgins said the program would make complex court orders easier to understand. “They’re not explained terribly well to offenders, and even with the plain English AVO’s it’s still good to sit down and explain it to them,” Ms Higgins said.